At its very core, Bryant Park is all about romance. William Cullen Bryant, our namesake, brought European Romanticist style into American poetry and the park's French Classical design would fit in perfectly in Paris, the city of love. If you're looking for a romantic setting for your Valentine's Day date, look no further than New York City's town square. Below are a few suggestions of ways to spread the love this upcoming Sunday. Looking for a refined park-side dining experience? 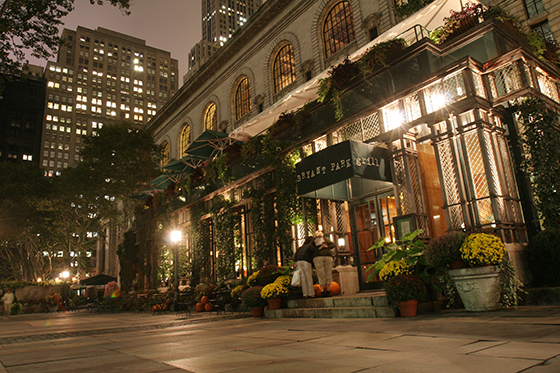 Look no further than The Bryant Park Grill. With the charm of a Parisian-style garden setting in the heart of the bustling city, your date will feel both sophisticated and intimate. The Grill has crafted a prix-fixe menu for the evening featuring steamed clams, yellow tail sashimi, and braised beef short rib pot pie. They just received a glowing write-up in NY Lifestyles magazine, so hurry and make a reservation before they're all booked up! Step out of the cold dusk air and into a cozy and elegant dining experience. Did your love blossom in the Park? Stop by the Bryant Park Shop, located right outside the entrance to The Rink, for BP specific gifts that all will love. 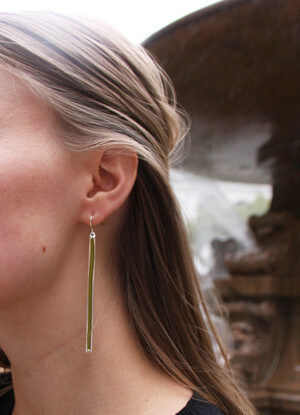 Our silver plated Lawn Green Earrings will always remind you of days spend lounging together on The Lawn. Our "Meet Me on The Lawn" blanket works just as well in the winter for post-skate sharing. The earrings were designed by New York City jeweler Rebekah Harris of Silverella. Tired of generic Valentines Day cards? Step up your game by visiting park neighbors Kinokuniya Books, purveyors of one of the city's most impressive stationary collections. Everyone knows how great it feels to receive a handwritten card, and with so many options, the Kinokuniya selection offers inspiration in the sheer variety of paper and card stock. This display is just one of their pen racks. 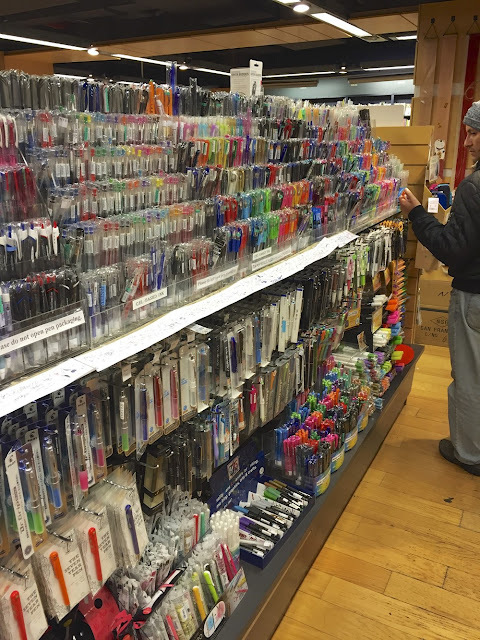 They also have a vast section of fountain pens if you're looking to really dazzle with some calligraphy in addition to standard gel and ballpoint varieties. What kind of Valentine's Day would it be without chocolate? Here at Bryant Park, we're thrilled to have one of the city's most cherished chocolate dishes. 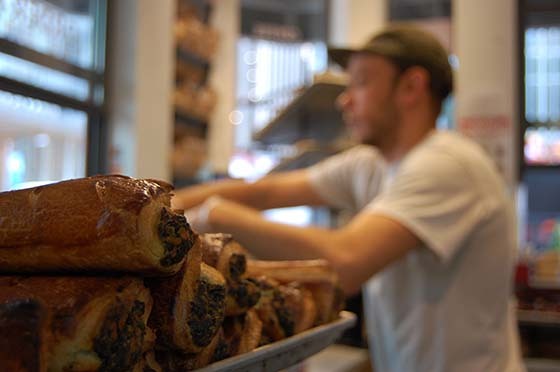 Stop by Bread's Bakery at Heiskell Plaza in the northwest corner of the park for their famous chocolate babka, it's the standard by which all other chocolate babkas are judged. They sell a variety of other delectable chocolate snacks as well. Make William Cullen Bryant proud and spend your Valentine's Day in the park this year.